Spring and summer are times for enjoying the outdoors, but this can come with some unpleasant hazards. Chief among those hazards is the wasp, or “yellow jacket,” a type of stinging insect that can quickly turn a pleasant outdoor excursion into a painful retreat. One only needs to wander too close to a nest to find themselves the target of yellow jacket stings. Treating the sting itself, as well as knowing how to recognize and respond to more serious complications, is an important skill when enjoying the outdoors. Luckily, this guide will explain what to do when a yellow jacket stings someone. Actually, a quick caveat first. Not everything you are about to read is usable against all stinging insects. Differences between wasps, bees, and other bugs mean that you should be careful when applying this guidance to non-wasp stings. Wasps are very protective and will usually try to sting anyone who gets within a few feet of their hive. Before getting into what to do when a yellow jacket stings someone, it’s important to understand what the actual effects are that a sting can have on the body. These are the symptoms that happen at the site of the sting itself due to a combination of the skin puncture and venom injection. Yellow jacket stings cause swelling, warmth, and inflammation (redness) and can last for several hours before subsiding. The sting site may be itchy and, of course, yellow jacket stings hurt as well. In some cases, the patient may feel nauseated or fatigued for several days afterward, but shouldn’t vomit. While distressing, none of these symptoms cause serious harm or danger. If localized effects are all you’re seeing after a yellow jacket sting, first aid is often enough. Most people are not allergic to wasp stings. In those who do have an allergy, the sting of a yellow jacket can trigger a set of systemic (whole-body) reactions. A sting allergy takes the form of raised, red bumps on the skin (hives) the swelling of the epiglottis (flap of cartilage at the base of the tongue), and the narrowing of the bronchial passages. The severity of an allergic reaction can vary and they are most serious in people 20 years old or younger. The most severe consequence of an allergic reaction is that the swelling blocks the airway and triggers a state of anaphylaxis. Not only is there a very real risk of suffocating, but the stress and breathing difficulty can cause cardiorespiratory arrest, a type of heart attack triggered to breathing problems. An allergic reaction can become fatal within minutes, so if you see signs of hives or breathing problems, seek emergency help immediately and administer an EpiPen as soon as possible. 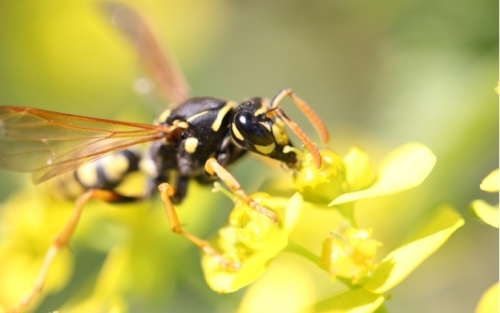 Wasp venom does not normally cause serious problems unless you have an allergy. The exception to this is if you are on the receiving end of multiple yellow jacket stings within a short period. In these cases, the sheer quantity of venom will start producing an immune response. Toxic reactions present with a mixture of fever, nausea, vomiting, diarrhea, headache, fainting, and convulsions. Hives can also appear but this does not happen as frequently as it does in allergic reactions. A more long-term risk of a toxic reaction is that the body may produce antibodies to the venom as a response, potentially creating a sting allergy where one didn’t previously exist. 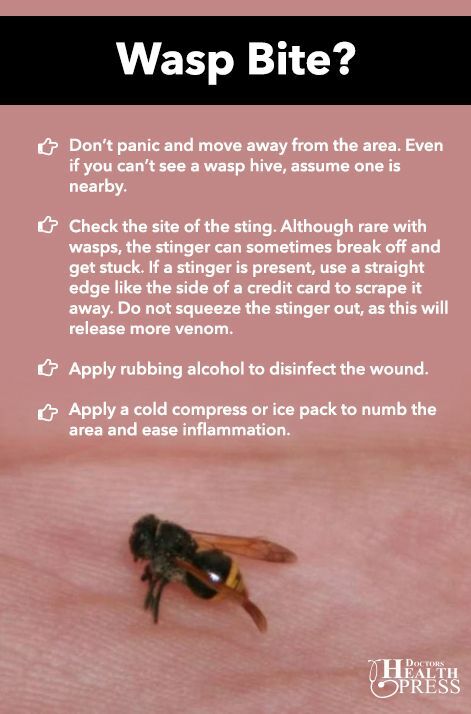 The following is some basic treatment advice in the immediate aftermath of a wasp sting. As you carry out these tips (1), keep an eye out for signs of an allergic reaction. If you see signs that the person is having trouble breathing or their throat appears swollen, seek emergency help and use an EpiPen as soon as possible. Don’t panic and move away from the area. Even if you can’t see a wasp hive, assume one is nearby. Check the site of the sting. Although rare with wasps, the stinger can sometimes break off and get stuck. If a stinger is present, use a straight edge like the side of a credit card to scrape it away. Do not squeeze the stinger out, as this will release more venom. Apply rubbing alcohol to disinfect the wound. Apply a cold compress or ice pack to numb the area and ease inflammation. What happens next will depend on personal preference and comfort. There are various home remedies for yellow jacket stings available (2), as well as more direct medical options. As long as you or the person who was stung is not showing signs of an allergic or toxic reaction, you are free to use any of these methods. Baking soda is alkaline and can help neutralize the venom from the sting. Mix one teaspoon of baking soda with a small amount of water to create a paste, then apply the paste to the site of the sting. Leave it on for five to 10 minutes, then rinse it away with lukewarm water. If the pain or itching returns you can reapply the paste, but you should wait a few hours between uses. Soak a cotton ball in raw vinegar. You can use either apple cider vinegar or white vinegar, so long as it’s raw and unfiltered. Press the soaked ball to the site of the sting for five to 10 minutes to reduce swelling and inflammation. Repeat as needed. 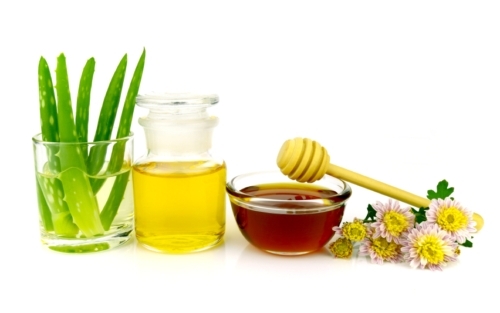 Honey has both antibacterial properties and can help soothe the pain and itching of a sting. 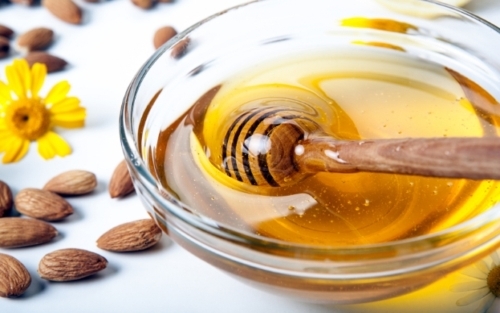 As with vinegar, it helps if the honey is pure and raw. Spread the honey over the affected area like a lotion. Let it sit for about half an hour or until it dries, then wash it off with warm water. You can also mix honey with a teaspoon of turmeric to make a paste that you can apply instead. Leave the paste on until it dries, then rinse it off with lukewarm water. Ibuprofen, antihistamines, and corticosteroids can all be used to help manage the swelling, pain, and itching of a yellow jacket sting. Appropriate treatments can be found in a first aid kit or at most pharmacies. Some formulations are tailored to better suit insect stings, so ask the pharmacist if they have anything wasp-specific. If a yellow jacket lands on you, keep still. Avoid sudden movements and either wait for the wasp to fly away or use an object to carefully remove it. Insects are attracted to sweet foods and drink and this includes wasps. When eating outdoors during the summer, keep your meal covered when possible. Also keep your trash cans covered, for similar reasons. If hives appear but there are no swelling or breathing difficulties, the person should still be monitored and stay in the presence of people who know about the sting. Delayed allergic reactions are uncommon, but are a very real possibility. Remember to stay calm. Yellow jacket stings can be scary but keeping a level head and monitoring for allergic symptoms ensures the best outcome for everyone involved.